The NTP Server Sentinel is a standalone ready-to-run GPS referenced NTP time server offering a complete solution for synchronizing time across TCP/IP LANs using NTP. 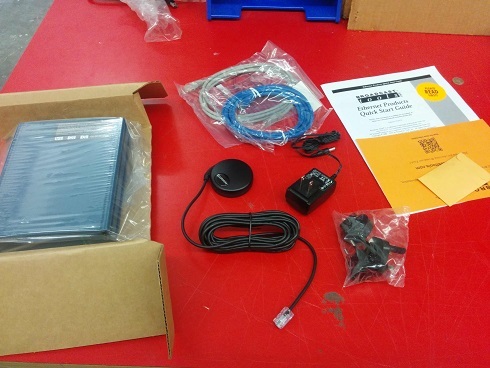 The NTP Server Sentinel combines a supplied GPS receiver with an embedded web based controller and is configured and managed via a web browser. The monitor and control web page displays date, time, locked satellite signal strength with multiple display features. The NTP Server Sentinel can handle multiple requests per second, making it the choice for providing accurate time information. The concept is as simple as plugging the controller into the network, attaching the GPS receiver, configuring the unit and allowing any client to request highly-accurate time. 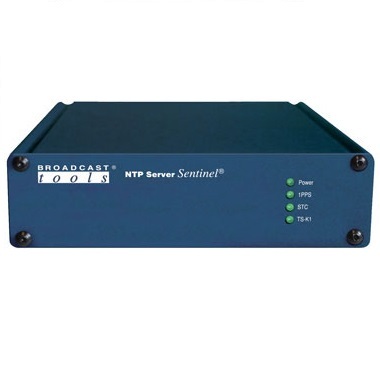 The NTP Server Sentinel® is supplied with a Garmin GPS18 receiver, which tracks up to 12 satellites. The GPS-18 can be positioned up to 30 metres away from the controller, using standard CAT5 cable. The controller may be desk mounted or up to three units may be mounted on the RA-1, 1-RU rack shelf. The controller is supplied with a domestic DC power supply. Ready-to-operate Stratum 1 NTP Time Server. Support for NTP and SNTP compatible clients. Configured across network via web browser. RJ-45 Ethernet interfaces 10/100 base-T. Web based display for Time and Satellite Status. Standard CAT5 GPS receiver cable length up to 100 feet. TC 89 or TC90 serial time code output.